Note: This is only applicable to you HOME Internet connection, if you are on a corporate domain then DO NOT change your DNS Servers. 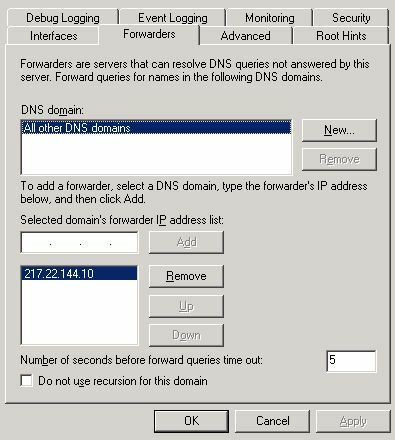 However if you want to perform this on your domain DNS servers, you can find out which are the quickest DNS servers. and add them to your forwarders. This process aims to speed up your internet browsing by changing your IP address settings, so that all the queries you make out to the internet for domain names, are resolved quicker. Meaning your browser does not have to wait so long to work out that www.bbc.co.uk is actually 212.58.246.160.